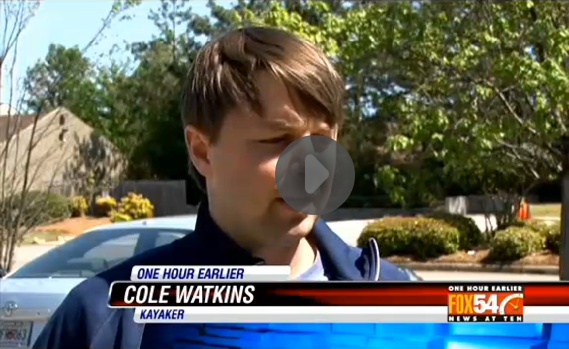 WFXG FOX 54. Story by Nick Lulli. April 21, 2014. Billed as the one and only festival literally on the water, BenderDinker 2014 promises food and fun all in one place. “We have bands and food stops along a 4.5 mile island, on Little River, and Savannah River,” said founder Kristina Williams. The kayaks will launch on Betty’s Branch on the Riverside boat ramp, near Champion’s Retreat Golf Course. Last year’s festival was almost derailed when the club tried to restrict access to the waterway during a tournament. But founder Kristina Williams said all is good this year. “Oh it’s great,” said Williams. “We’ve resolved everything. Last year, it was really just a golf tournament…we want to make sure our participants don’t have any problems with golf balls, and they didn’t want to hit any one us.”And with that roadblock out of the way, attendees are excited for what’s to come this year.